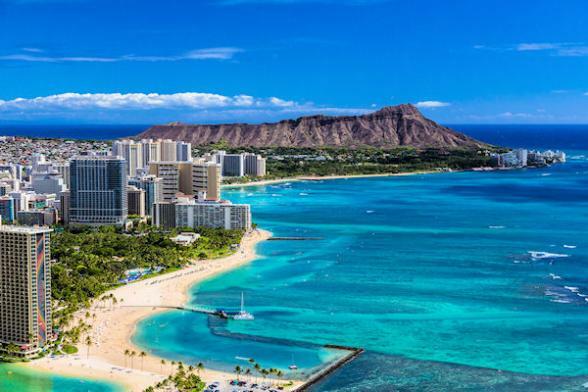 Mention Hawaii to most people and this is the first thing that springs to mind: strolling along the waterfront at Waikiki Beach awash with floral shirts, board shorts and sun-kissed lifeguards wearing super-cool shades. 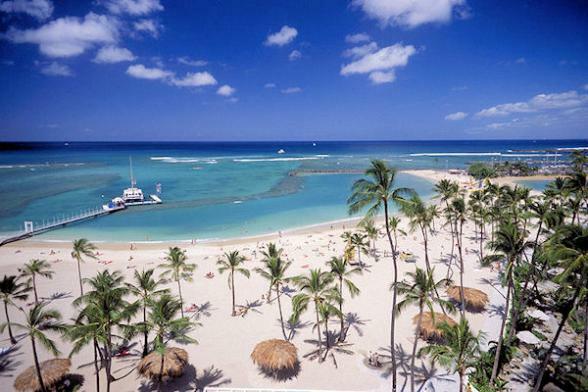 High rise hotels and surf themed restaurants line the seafront at bustling Waikiki, while in the ocean, hundreds of wannabes bob around on their surfboards. The atmosphere here is never anything less than laid back and friendly, even if you're only here to top up your tan, it's a truly great place for some fun, high-quality people watching. As the sun goes down on Waikiki, wander along the Beach Walk, where traditional Hawaiian bands strum away, adding an even more tropical feeling to the place. 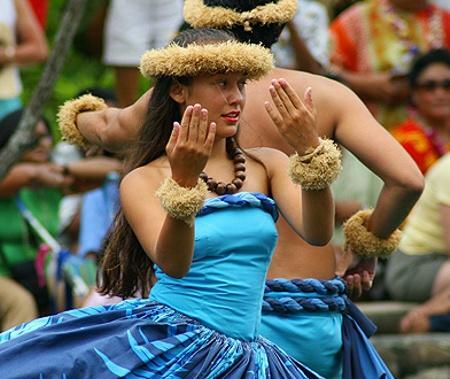 Away from the beach there's plenty to keep you busy on your Waikiki holiday from the colourful markets, cultural museums, Polynesian shows, submarine adventures, volcano hikes and historic Pearl Harbour. 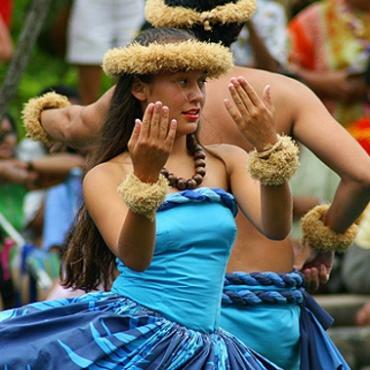 Serious shoppers won't be disappointed, there are countless designer boutiques along Waikiki Beach as well as the huge Ala Moana shopping centre situated just out of town. Welcoming guests since 1883, Honolulu's most luxurious hotel is simply impeccable. This is where you'll find us. Legendary Waikiki Beach landmark right on the beach. Polynesian hospitality meets Victoria elegance. Known as the Pink Palace of the Pacific, this historic hotel remains true to it's heritage, but full of modern amenities. Secluded, luxury hideaway on pristine white sand beach overlooking Diamond Head. Enjoy views of the Pacific Ocean from your private lanai or sip a cocktail from the pool sundeck. 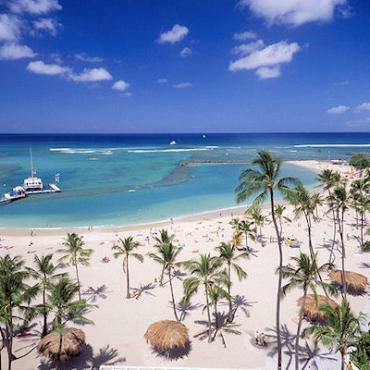 Winner of best location, with an enviable position on the quieter end of Waikiki Beach. Looking for a resort with all the bells and whistles? You've found it!